What Is NissanConnect? It is an innovative infotainment system available in new Nissan models like the new Nissan Rogue or Nissan Altima. NissanConnect keeps you connected with your car at all times, allowing you to effortlessly and wirelessly stream your favorite music, start your cars remotely for those cold Reidsville, NC days, and other functions. Entertainment and information: Connect your smartphone to your NissanConnect system via Bluetooth, and you’ll be able to stream music from your device. It also includes Pandora, iHeartRadio, SiriusXM, and other channels. Security and convenience: Manage your vehicle remotely with help from NissanConnect Services, as powered by SiriusXM emergency response services.The system also allows you to keep up with vehicle health reports and service reminders. Turn to the Parked Car Finder, rely on the Automatic Collision Notification, and easily contact Roadside Assistance to make your life more convenient. Navigation: NissanConnect uses Google to provide maps and turn-by-turn directions, while SiriusXM Traffic helps you to avoid major traffic jams. Communication: Send a text or place a phone call with a simple voice command, or connect with apps like Facebook and Twitter. 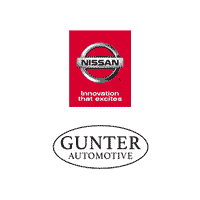 Experience the NissanConnect system in person when you test drive any Nissan model at Gunter Nissan of Martinsville. Want to see how models like the Frontier compare to the competition? See our comparisons! You can also check out the reviews on the Nissan Titan and other models. There are plenty of benefits to buying a Nissan over a competitor make, our comparisons are just one. Contact our team so we can help answer any questions you may have. 0 comment(s) so far on What Is NissanConnect?